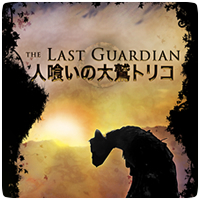 Posts tagged "The Last Guardian"
As we edge closer to the release of The Last Guardian, which has suffered numerous delays, a new CG cinematic-style action trailer has been released for the game. The game is expected to release on 7th December 2016, and the game has recently gone gold, which means it will actually be releasing next month! Sony has announced that The Last Guardian has been delayed once again. But this only by a few weeks. Instead of releasing on 25th October 2016, the game will now launch on 7th December 2016, across Europe and 9th December 2016 across UK & Ireland. The reason for the delay is to allow the game’s creators to deliver the experience they envisioned for gamers. New footage of Fumito Ueda’s The Last Guardian was revealed at the PlayStation E3 Press Conference, and the long-awaited game finally has a release date. The game is coming to the PS4 on 25th October 2016 – check out the trailer below. After years of drip-fed information and no-shows, Sony has finally revealed more details about The Last Guardian – a title that was first revealed in 2009, and expected to release on the PS3 in 2011. The long-awaited game will now be releasing on the PS4, and is expected to release in 2016. Little has been revealed about The Last Guardian since it was first announced back at E3 is 2009, though we know the game has faced delay after delay. There have been rumours that the game may never be released, but a new listing on the European PlayStation Store has restored faith, at least for the time being. The product details on the game are vague, revealing neither the platform or release date for the game. The Last Guardian, first revealed back in 2009, won’t be arriving on the PS3 or PS4 anytime soon, according to Sony’s Jack Tretton. Speaking to GameTrailers, Tretton has confirmed that The Last Guardian is on “hiatus” while Team Ico focus on other games. However, it doesn’t mean the game has gone forever. 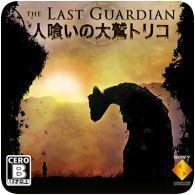 SCEE has confirmed that they are officially delaying the release of ICO/Shadow of the Colossus Collection and The Last Guardian from their respective launch timeframes of Spring 2011 and Holiday/Winter 2011. Sony will provide more information regarding release timing at a later date.